iRobot CEO Colin Angle has talked a lot about his company’s plans to make its popular robotic vacuum and integral part of the connected home. Honestly though, those plans have been pretty vague. Today’s announcement of indoor WiFi mapping does offer a bit of insight into where the company is headed, however. 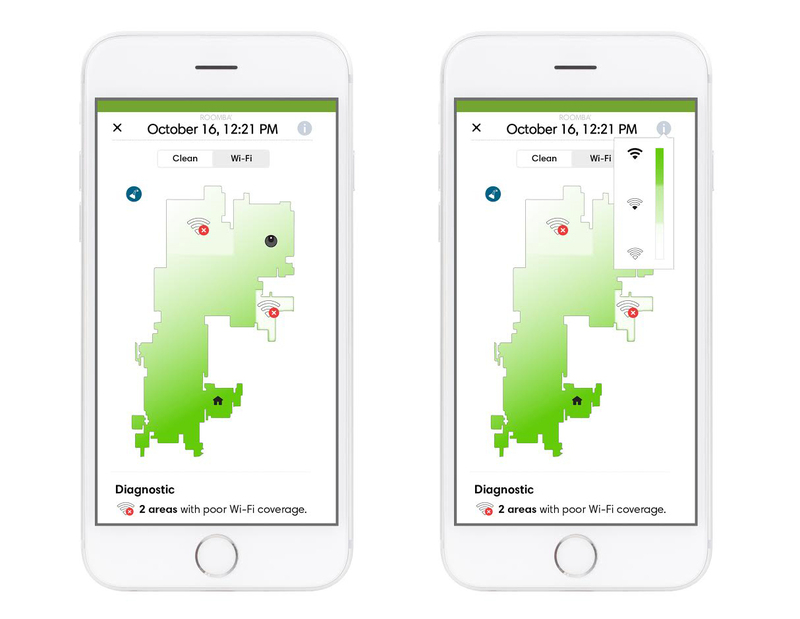 The feature is arriving later this month on the iRobot app, making it possible for WiFi-enabled Roombas to create a map of indoor signals. The map exists alongside the existing Clean Map feature, letting users toggle between the two, like they would, say, satellite and standard imagery in Google Maps. The maps themselves won’t go into too much detail — no upload and download speeds like you see on many mobile speed test apps. Instead, the information will show up as decibel readings. Really, it’s intended as a handy way of showing off where you might want to toss a range extender, to help get rid of dead spots. WiFi Signal Strength mapping is the first feature the company this way. iRobot’s already offered it to a few select users, but now it will be available to a much broader base through an optional beta program that exists in the app. In other words, it’s a place where iRobot’s dev team can try out new features with a captive, opt-in. From the sound of it, the programs will be a bit more experimental than iRobot’s usual fare, as the company figures out, among other things, whether this is the sort of add-on its users are interested in. It seems likely that it will also be a destination for many of the smart home features the company plans to roll out, as well. The beta program will launch in the US on Jan 23. For the time being, it doesn’t sound like it’s destined for any other spots.